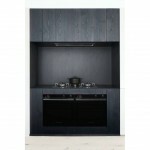 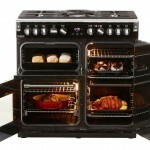 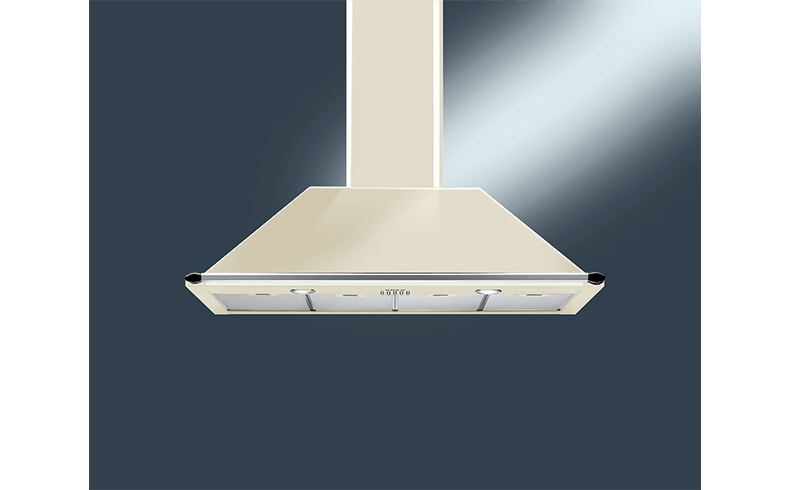 Categories: Cooking, Kitchen Ventilation, and Rangehoods. 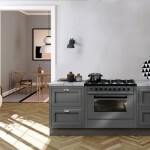 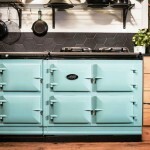 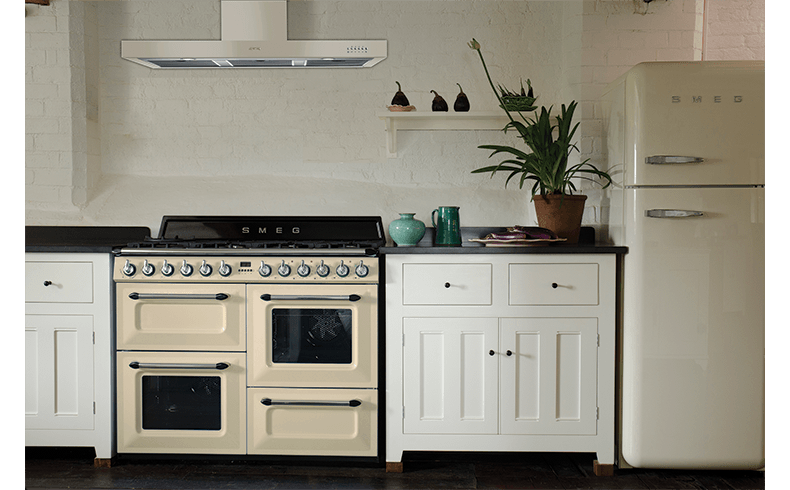 Smeg introduced their Victoria upright-cooker early-2014 melding the beautiful aesthetics of the 1920s iconic wood-fuelled stove with the very latest in culinary technology [see Renovating Magazine March quarter 2014 issue]. 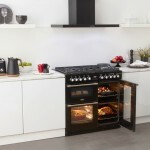 The Victoria offers two electric ovens, separate grill, seven gas burners, teppanyaki plate and generous storage drawer, with either a gloss black or panna enamel exterior. 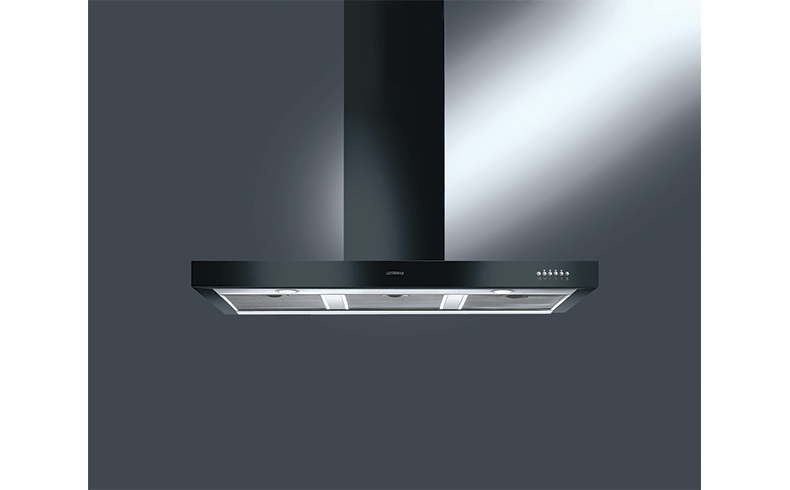 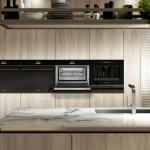 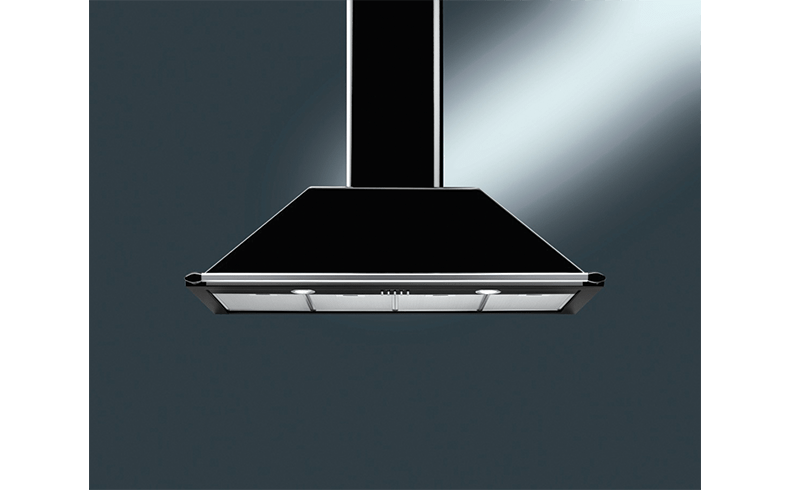 Smeg has completed the ensemble with the introduction of a 110cm wide rangehood, in matching gloss black or panna enamel, in two distinct designs: a traditional chimney hood style [$2490]; and a more linear, squared design [$2290]. 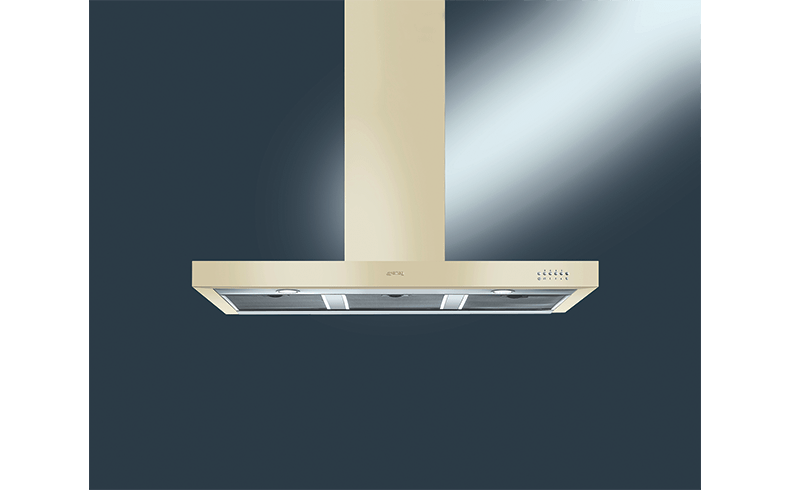 Both have a high performance motor, four speeds, electronic controls and two 20W halogen lights; metal grease filters; and automatic switch-off after 10 minutes.